In March 2014 I described how waiting to be called downstairs to receive feedback from the external team reviewing the progress of the Science Hub programme was like sitting outside Headmaster’s office. Waiting to hear if Government had agreed our proposal is similar to an expectant father waiting to hear the doctor say, “Congratulations –it is a healthy baby”. Eight years ago, the then Health Protection Agency, had a vision of co-locating its national microbiology laboratories. With the creation of Public Health England, we revisited this work and developed a wider vision about a national hub for public health government science. We are delighted that the ambition of this vision is set to become a reality following last week's Government announcement. Many of us working on the Science Hub programme will tell you that there has been a certain amount of frustration, not to mention a few sleepless nights, as we worked hard to get a clear decision. We have now been given the opportunity to build on the national and international reputations of many of the teams that came into PHE to establish the new agency as a world leading national public health organisation linking science with delivery to have a major impact on people’s health and wellbeing. Public health science is changing, in particular with the digital revolution, the major changes in microbiology testing and genomics, the need to link bio-medical and behavioural science and realising the opportunities from Big Data. In parallel, health threats and challenges across the world mean public health science is more global than ever before while the public’s expectations and aspirations continue to grow. The Hub will be located in the London-Cambridge corridor and part of the major UK region for the biotechnology and life sciences sector. We have had a range of discussions with government, academic and commercial partners about how being in Harlow will provide opportunities for new partnerships. For example, we have talked with Cambridge University about potential collaborations between Harlow and the Addenbrooke’s campus and we have spoken with Anglia Ruskin University who run Tech City which is one of the largest health innovation centres in Europe and has a campus at Harlow. The Hub will be a campus-style environment, where academia, public health services, research and commercial activities can interact and thrive, delivering significant benefits to the wider economy and the knowledge and skills-base of the country. We will also be making it the new headquarters of Public Health England. It is important that we develop the way in which the national hub works with the services and teams across PHE. The “hub and node” model that is an essential component of PHE’s future success and our partnerships with local government, the local NHS, universities, the third sector and commercial partners across country are vital to the success of the programme. We are committed to a network of “nodes” of expertise across the country providing world class science that support and are supported by the national hub and link science to local delivery. We are immensely proud of our work carried out at Porton and Colindale but sadly, these facilities need significant investment urgently to avoid losing much of the UK’s current specialist capability. The Science Hub will build on their legacies and focus on the use of new technologies to deliver a world leading public health service. 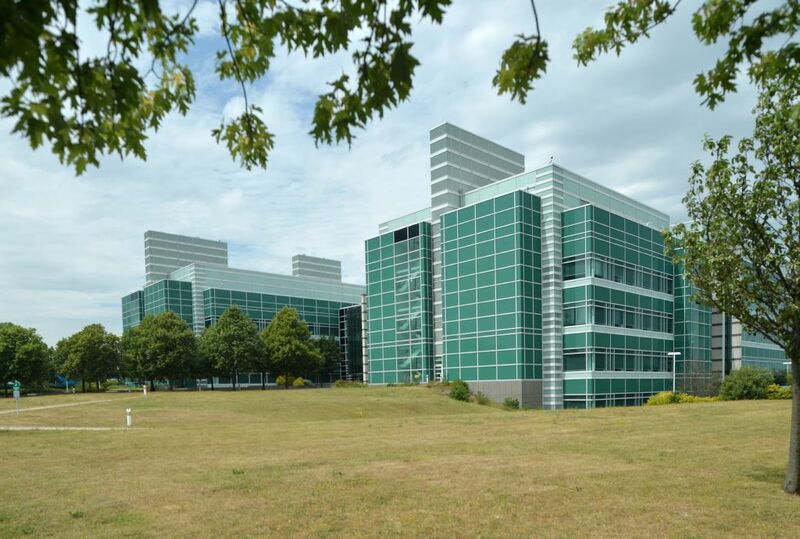 PHE is committed to playing a full and active part in the development of the Science Park at Porton – and some 300 staff will remain at one of our specialist regional laboratories as well as our former Development and Production facility now trading as Porton Biopharma. The next steps include a public consultation as part of the planning application process and we will be working with the Town and Country planners at Harlow Council to develop this. With planning permission, we will work on a Full Business Case detailing costs and design. Duncan Selbie’s letter to all staff in PHE recognises that this decision will be difficult for some. A key element of the next stages will be the work on supporting staff develop their plans for the future and creating the new teams that will operate out of the fantastic facilities that will be created at Harlow. There is still much to do and the current estimate is that we will be able to open the new-build specialised laboratory facilities in 2024. There could be a phased occupancy before this with the earliest moves possible in 2019 to some of the refurbished areas. Science informs everything we do and the Science Hub is at the heart of how we will meet future public health challenges.